In the words of the Stark family in Game of Thrones… Winter is Coming. Unless of course you live in the Midwest or East Coast, in which case you likely have been braving freezing temperatures for the last two weeks and woke up this morning to snow courtesy of Winter Storm Avery. When the weather changes like this, it’s easy to want to succumb to your inclination to go into hibernation till Spring. 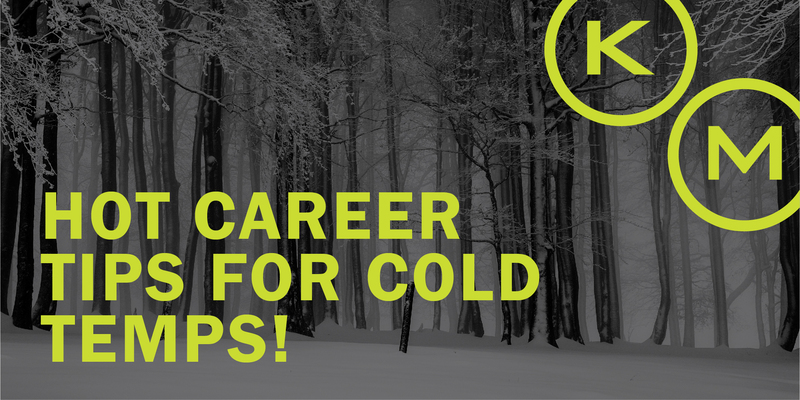 And while staying in is fine, you can’t freeze your career goals just because the weather is. So here are our five favorite tips to keep your professional development and careers goals hot this winter all from the comfort of your home. Visualization, although not a new technique, it is a great one when you’re stuck inside. It’s been used by everyone – Michael Phelps to Oprah. It’s the act of creating a clear picture of the exact outcome you want to happen and thinking through every detail and step it will take you to get there. Whether you call it intention setting or positive thinking, visualization can definitely help you get to where you want to go. There’s so many incredible books you can read to better yourself professionally. It can definitely be hard when there’s so many fun activities and events in the warmer months to settle down to read one cover to cover. Winter is the perfect time to do just that, cozied up by the fire! Two of our favorites for those evaluating their career goals: Designing Your Life and What Color Is Your Parachute?. Hopefully you have an elevator pitch, but if not, now is a great time get one. If you do already have one, this time when it’s cold outside is great for heading to your closest mirror and working on it there. It’s one thing to know the content, but practicing it is key to successfully delivering it confidently. Whether you changed jobs or simply changed roles within an organization, sometimes in the course of day-to-day responsibility, you miss out on the opportunity to develop other skills or interests. Take the colder months, when you’re not going out as much, to take some online courses to do that. Places like Skillshare or Lyda are great resources. You know those connections you made during the warmer months when you were out networking? Winter is a great time to reach out and reconnect with them. Whether you just send an email to say hello or set a time to meet for a hot coffee or mulled wine, keeping these connections warm through the winter is one of the best things you can do for your career. If all this career development has gotten you thinking about a career change, check out our website for our open positions, we’re hiring around the country!